Posted on March 16, 2015 by Katrina C.
When we think of modern medicine, we often envision Western-based discoveries and interventions such as penicillin, vaccinations and antibiotics. But for millennia, people from Africa and Asia have used traditional medicine or TM for primary health care. Recently, however, “TM [has been] rapidly gaining appeal” for people in developed nations. In fact, a survey of U.S. medical students in 2010 found 74 percent believed that Western medicine would benefit by integrating traditional or alternative therapies. Standardization via techniques such as spectrophotometry will go a long way toward increasing the legitimacy and efficacy of traditional medicines. Long derived for their seeming efficacy, traditional medicines are experiencing increased interest in the Western medical world. 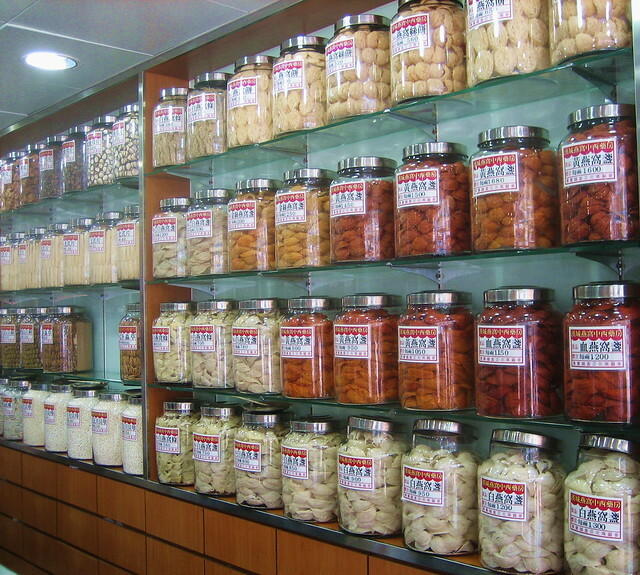 Traditional medicine, however, is not without controversy. Market demand for traditional therapies can at times lead to the overharvesting of plants or the use of components derived from endangered animals. Additionally, traditional medicine practices and treatments are often unregulated, which leads to difficulties in classifying the herbal mixtures, manufacturing the remedies, and even identifying fake medicines and practitioners from real treatments — or even the efficacy of treatments presumed to be real. Given the lack of regulatory control, herbal supplements based on traditional medicines can also have contaminants, such as high levels of heavy metals or other additives. Whereas Western medicines must undergo an extensive set of tests and multiple phases of clinical trials before being used by humans, traditional medicine has no such standardized practices. In general, these problems have often made scientists and healthcare practitioners rightfully skeptical about the efficacy and usefulness of traditional medicines. Still, there have been signs of change. Besides the interest of medical students, a recent study found that the medicinal plants used by nearly 100 cultures across different continents are related, suggesting that these plant therapies that were independently related may have certain bioactive compounds scientists could explore. Focusing on such plant-based traditional medicines, spectrophotometers could be employed as a form of sample identification to ensure quality control when possible. Herbal blends often have one or two markers or pharmacologically active compounds and a spectrophotometer could be used to quantitatively determine the composition of a medicinal sample. Moreover, part of the challenge with herbal medicines is that they can vary from one preparation to the next. Spectrophotometers could similarly be used to determine the consistency and reliability of certain mixtures, and likewise the people who create them. Maria Victoria Rodriquez and her colleagues from the Universidad Nacional de Rosario Argentina advocated for the development of a “spectrophotometric fingerprint” for herbal products, which should be compared to a clinically tested reference, thus enabling the authentication of certain medicines. In India, Asha Roshan and her colleagues at the Rameshwaran Institute of Technology and Management did use UV spectrophotometry to estimate the amount of glycyrrhetinic acid in a popular Indian traditional medicine known as Pratishyayghna kwath, a formulation used for cough and colds. Their method, which involved preparation of Pratishyayghna kwath and a standard stock solution of glycyrrhetinic acid with dilutions, enabled them to develop an accurate, simple, and rapid test for determining the concentration of glycyrrhetinic acid in the medicinal mixture. Standardization via techniques such as spectrophotometry will go a long way toward increasing the legitimacy and efficacy of traditional medicines such as those derived from plants and other natural sources. Why should the pharmaceutical industry care? Worldwide, the pharmaceutical industry has revenues in excess of $980 billion dollars, with the North American market accounting for 41 percent of that revenue. Still, the industry is one with significant challenges in its future. According to Ido Hadari, CEO of Treato, the startup funding that has been an essential component of drug development in biotech is “drying up,” and as it goes, so too does the innovation pipeline. Simultaneously, there is an ever-decreasing budget for research and development (R&D). This is all occurring as traditional business models in the pharmaceutical industry become harder and harder to justify. Forbes estimates that the cost to get a new drug to market can be as high as $8 billion dollars, not to mention the cost of the many failed drug trials and attempts along the way. By standardizing the integration of ingredients from traditional medicines with modern drugs, pharmaceutical companies may establish the path to a new frontier in medical treatment. Traditional medicine, in the form of herbal medicines that have been tested and shown to work through a standardization process as described above, could provide the industry with a lifeline of sorts, enabling industry leaders to identify the active ingredients of medicines known to work. In 2005, people in China spent approximately $14 billion as part of a global market worth more than $60 billion dollars. As issues such as drug resistance become increasingly important, scientists and pharmaceutical companies need to look for new ideas and therapeutic sources, and perhaps with better standardization, they can look less skeptically at traditional medicines. Pharmaceutical companies (and other interested parties) can utilize spectrophotometers to standardize the production of traditional medicines and better determine the active ingredients that render some remedies potent. At HunterLab, we specialize in producing accurate and efficient instrumentation options to enable companies and organizations to use color measurement to determine the contents of a given sample. With over 60 years of experience, our support staff will work with you to determine how best to serve your needs and ensure your project’s success. To learn more about how our spectrophotometers could be used to encourage standardization in the field of traditional medicine, please contact HunterLab today.